Secondary School Back Pack Bag / Adult Back Pack - High school / secondary school / college bag ideal for ages 11-18 or adult kit bag / cycle bag. 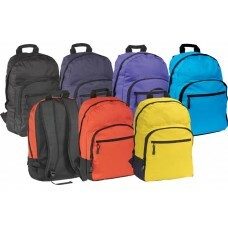 Large back pack bag takes a box file with ease. 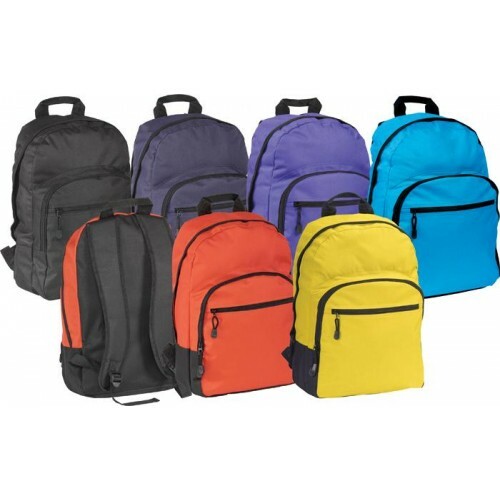 Padded back, padded and shaped staps, external zipped pocket and top hanging loop.Tough, durable and water resistant 600d polyester.In stock: Black, Red, Royal Blue, Yellow, Green, Light Blue, Navy.